The Lilly Pulitzer After Party Sale is coming SO soon! Monday to be exact! I shared this post in late-August but reposting it this weekend so you can get all the details! When is the After Party Sale? Monday, September 10th- Wednesday, September 12th. It starts on Monday at 8am(ish) EST and ends at 11:59 PM EST on September 12th. The sale will start in-stores on September 8th-9th. There will be much more inventory and product online though, starting the 10th. so you know how to shop their new site (it's really easy). Can you return items if they don't work out? No. All items are final sale. Do you know of any styles that will be included? Yes! Lilly gave me info on a few pieces that will be included in the sale (although there will be much more than that). I'll be on instastories doing a try-on before the sale and I'll let you know how things run in terms of sizing! Will there be restocks or new items added after the first day? No— Unlike previous years, no additional product will be added to the sale once the sale goes live on Monday, September, 10th. 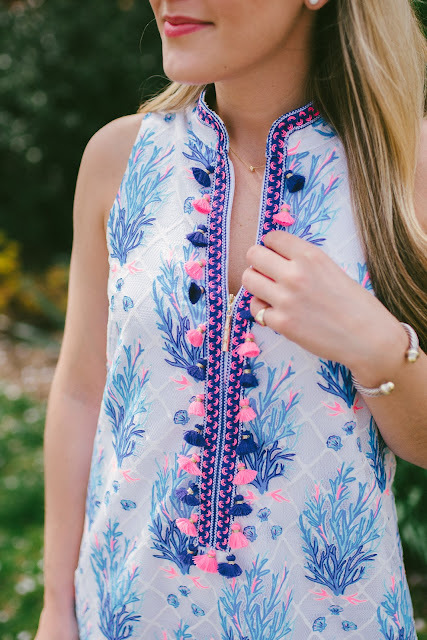 Do you have to have an account on the Lilly site? No, but I highly recommend having an account for the quickest checkout experience. You can find info about how to create an account, here. What if I have questions about the sale? Head to their FAQ page which is pretty comprehensive! FREE! This is great because if you place an order in the morning and then still want something later that day, you can place another order! There are no expedited shipping options, so just be aware that the shipping for the sale takes longer than usual and be prepared to wait! On the section where you discuss restocks you use a different date than you did previously. Thanks so much for all the info! I can’t wait for the sake! I’m crossing my fingers they have some good cashmere options! Love your blog, love Lilly Pulitzer, but I really dislike the after party sale.